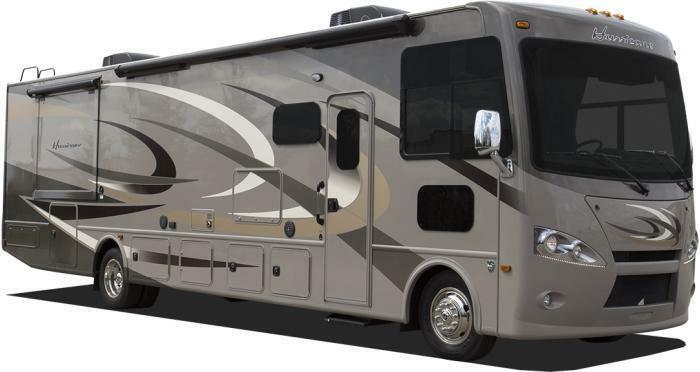 Thor Motor Coach is recalling 12,656 model year 2011-2016 Thor Challenger, Thor Citation, Thor Hurricane, Thor Tuscany, Thor Windsport, 2011-2012 Thor Astoria, Thor Avanti, Thor Chateau, 2011-2014 Thor Daybreak, 2011-2015 Thor Outlaw, Thor Siesta, 2014-2015 Thor Miramar, 2012 Thor Four Winds, 2008-2011 Damon Astoria, Damon Daybreak, Damon Outlaw, Damon Tuscany, 2008-2012, Damon Challenger, 2008-2010 Damon Essence, 2009-2011 Damon Avanti, Four Winds Chateau, Four Winds Citation, Four Winds Four Winds, Four Winds Hurricane, Four Winds Siesta, Four Winds Windsport, 2009-2010 Four Winds Dorado, Four Winds Dutchmen, Four Winds Magellan, Four Winds Mandalay and 2009 Four Winds Fun Mover, and Four Winds Presidio motorhomes. The recalled vehicles are equipped with certain Lippert-brand Coachstep Double and Triple Electric Steps, which use a bolt to attach the fan gear assembly to the steps. This bolt may fracture allowing the fan gear to disengage from the steps. As a result, the steps may not remain in the expected position and may be unstable. Thor will notify owners, and dealers will install a retainer bracket to reinforce the operating mechanism and replace all of the affected bolts, free of charge. The manufacturer has not yet provided a notification schedule. Owners may contact Thor customer service at 1-877-855-2867. Thor's number for this recall is RC000111.